TÜV Hellas Managing Director Savvas Peltekis presents the award to Mitsis Group’s Tzeni Mitsi. The Sofitel Athens Airport hotel has been honored with a special distinction by inspection body TÜV Hellas (TÜV Nord), for successfully adopting the ISO 14001 Environmental Management Standard and the ISO 22000 Standard for food management. According to an announcement, the hotel was honored for its devotion to quality and sustainability. 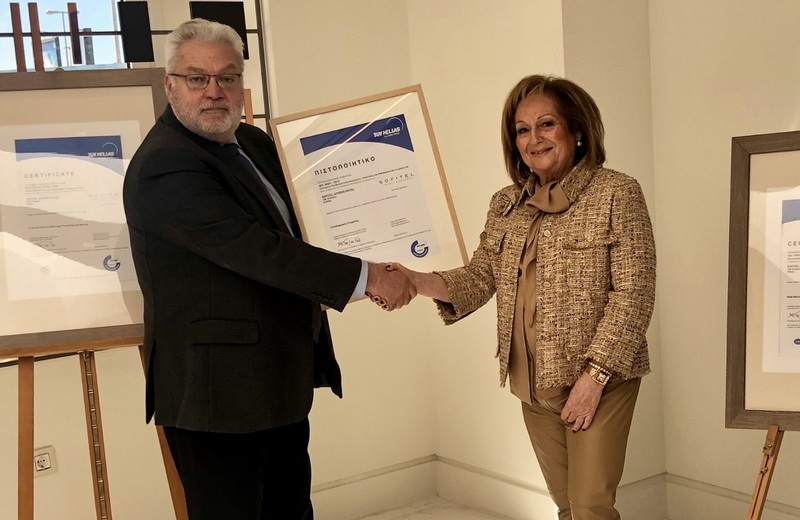 The award was presented to Tzeni Mitsi, representative of the Mitsis Group, operator of the hotel, by TÜV Hellas (TÜV Nord) Managing Director Savvas Peltekis, during a special event held at Sofitel Athens’ Mesoghaia restaurant. According to Sofitel Athens Airport General Manager George Stavrou, for the last 18 years, the hotel has been providing its international travelers with the most modern, quality and stylish services, as a result of Mitsis Group’s devotion and commitment to high quality and Sofitel’s international know-how. “We are pleased because these distinctions recognize our commitment to high quality and are an integral part of our successful course,” Stavrou said. 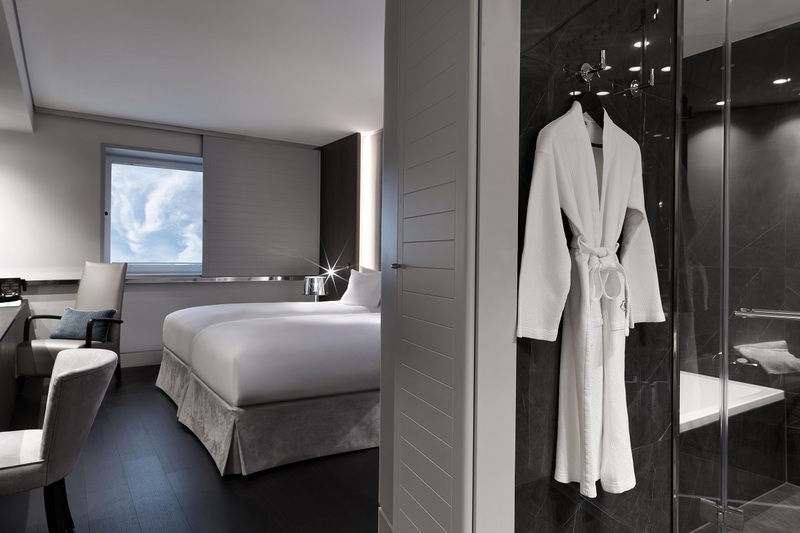 As part of its efforts to constantly improve its products and services, during the last two years, Sofitel Athens Airport has proceeded with the renovation of its rooms and suites on the fifth, sixth and seventh floors; public areas; the Artemis bar and the Mesoghaia restaurant. 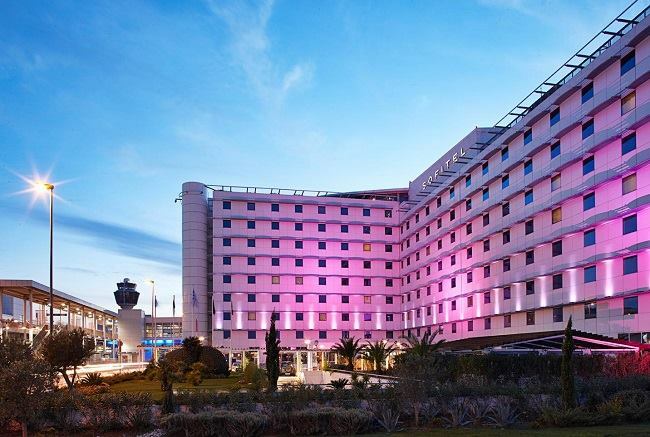 The five-star hotel is located near the Athens International Airport. It is part of the Sofitel Group, which is present in five continents and 40 countries with 120 hotels.